You can register as late as the day of the party / event; however the registration form will accept a date up to a maximum of 28 days in advance. Once you have submitted the Online form your party / event will be registered with the Western Australia Police Force. 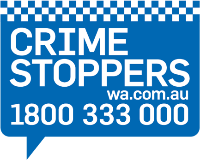 Please note: Should you encounter any problems at your party / event that require Police attendance please call 131 444.